Fisher Price is an American based company that manufactures toys for children and infants. It is headquartered at East Aurora in Ney York. It has been operating as a fully owned subsidiary of the Mattel since the year 1993 and it deals. 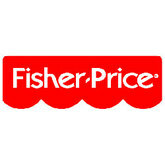 Fisher Price was founded in the year 1930 by Herman Fisher, Helen Shcelle, Irving Price and Margaret Evans Price. The early toys manufactured by the company were made from ponderosa pine and heavy steel parts. Since its establishment, Fishers Price has created about 5,000 different toys with one of the best being the Little People toys. There are currently 1 consumer reviews about Fisher Price available. Share your review. Hi I just have a little baby like 5 days ago, Me and my Husband went to 3 shops already for Baby cradle swing and all off them are not working , the have 6 sppeds and looks like is only one spped 6, i feel really disipointed becouse I spend 3 days driving round to sort them out and get my money back , and i feel really disipointed becouse mine son still dont have swing , can someone do something about that? Please take a note that you are about to post a public review about Fisher Price corporate office on CorporateOffice.com. This review will be public, so please do not post any of your personal information on this website. If you would like to contact the corporate offices of Fisher Price, please use their contact information such as their phone number, website, and address listed above to contact them. However, sometimes staff from Fisher Price headquarters do read the reviews on this website.